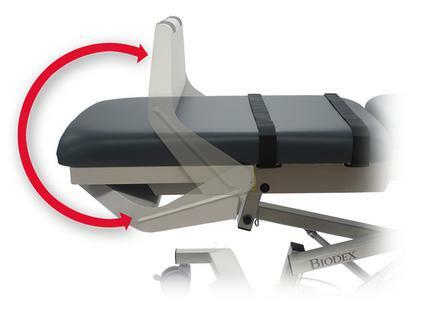 The ergonomic choice for long-leg vascular studies. 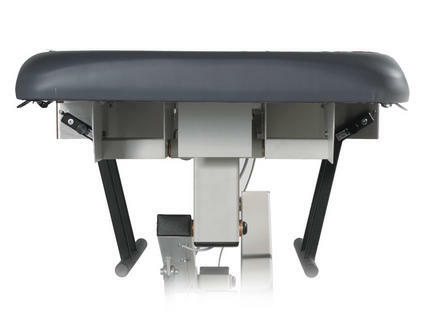 The Vasc Pro™ Vascular Ultrasound Table is designed with ergonomics in mind. It addresses sonographer comfort and safety and proper patient positioning, virtually eliminating repetitive-strain injuries from vascular scanning. 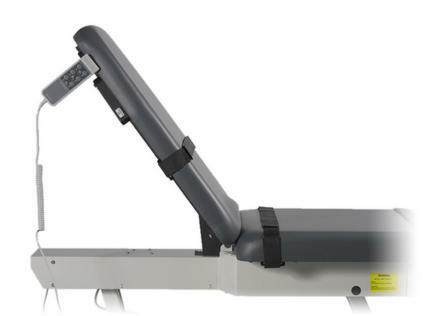 Sonographer comfort and safety are accomplished through features such as the new adjustable foot support that accommodates patients of various heights, and optional side rails enabling close access to the patient without sonographer contortion. 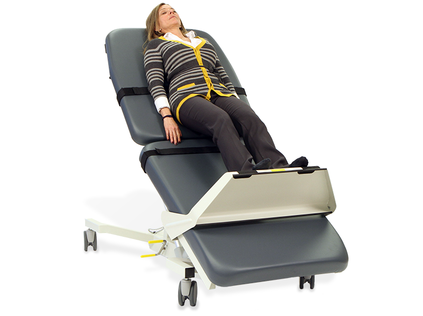 Fowler positioning to 80 degrees, which accommodates natural body extension and sitting position without slide or shift, an optional Articulating Scanning Arm Board adjustable from 0 to 130-degrees locking every 10 degrees, the thick antimicrobial mattress and table adjustability all create a comfortable imaging experience for the patient.